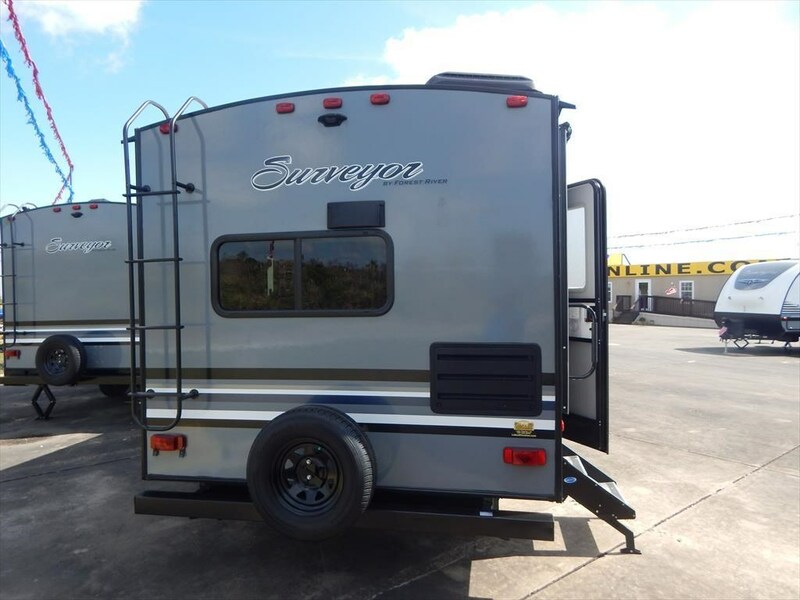 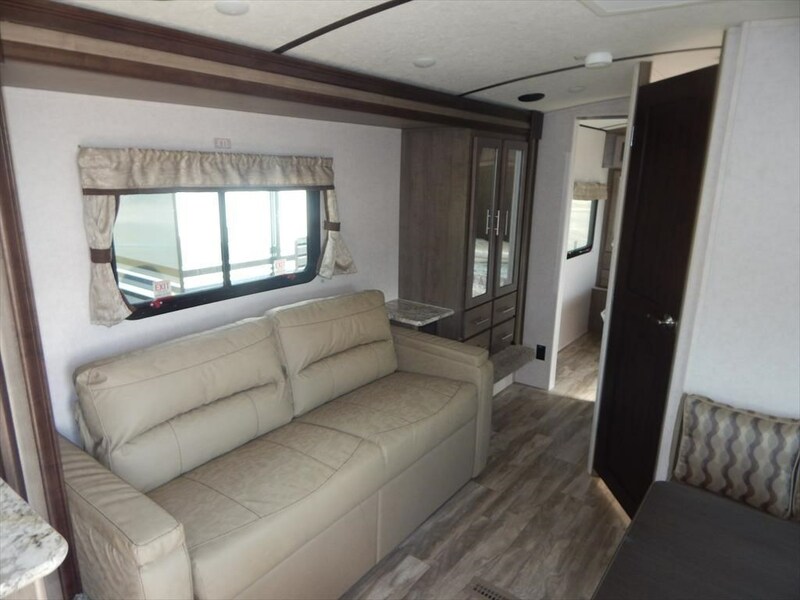 Double entry doors, a rear kitchen, and single slide are just a few of the key features you will find inside the Surveyor 264RKS travel trailer by Forest River! 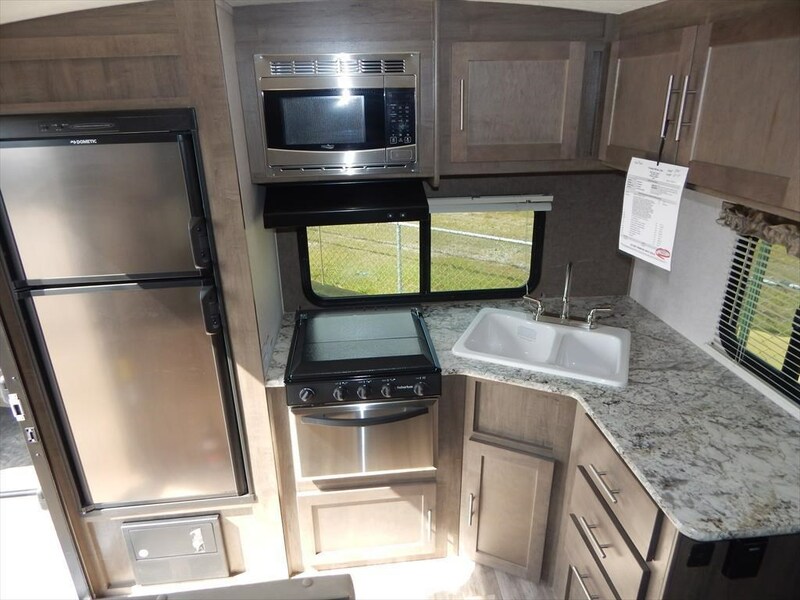 As you enter the rear entrance of the travel trailer, along the rear wall you will find a refrigerator, three burner range, extra counter space, and a double kitchen sink. 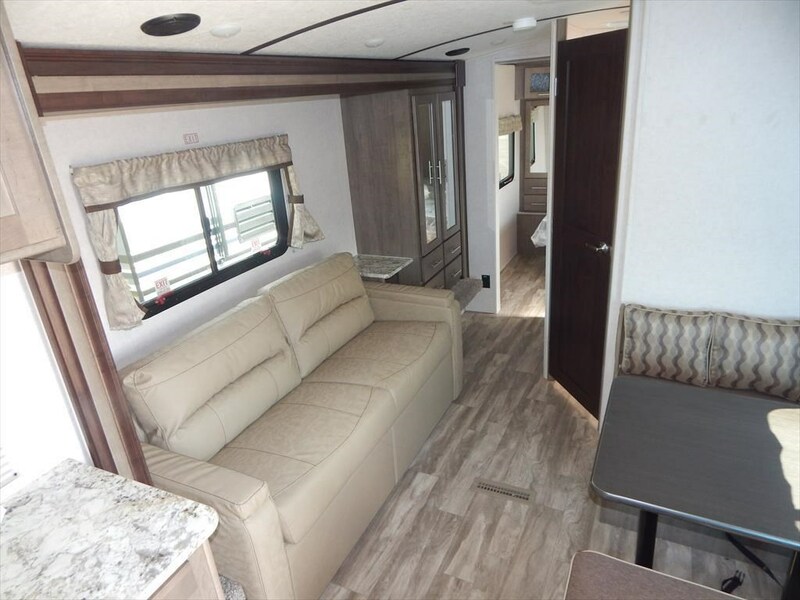 The slide has a sofa, end table, and wardrobe. 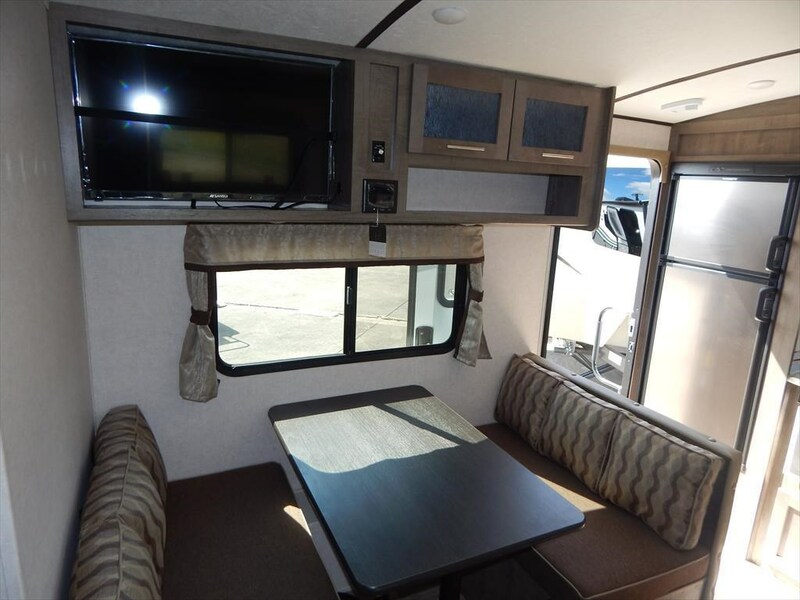 The opposite side of the travel trailer has a dinette. 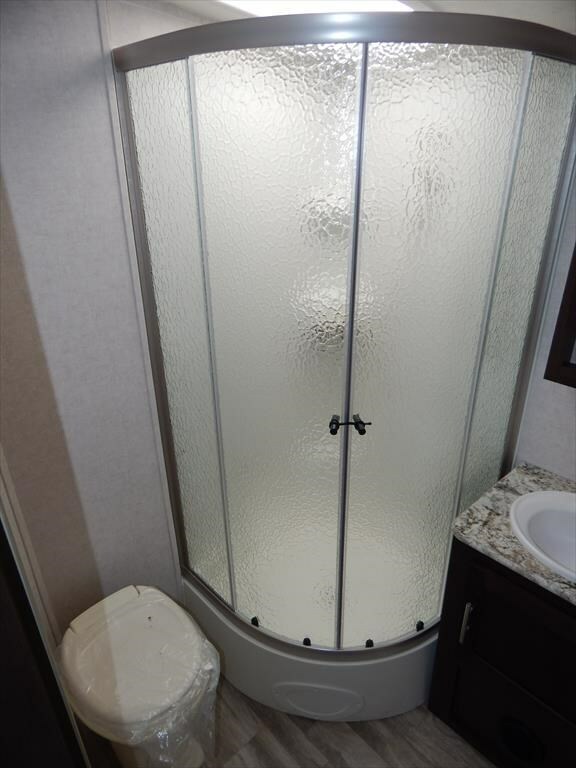 In the side aisle bath you will find a sink, radius shower, and toilet. 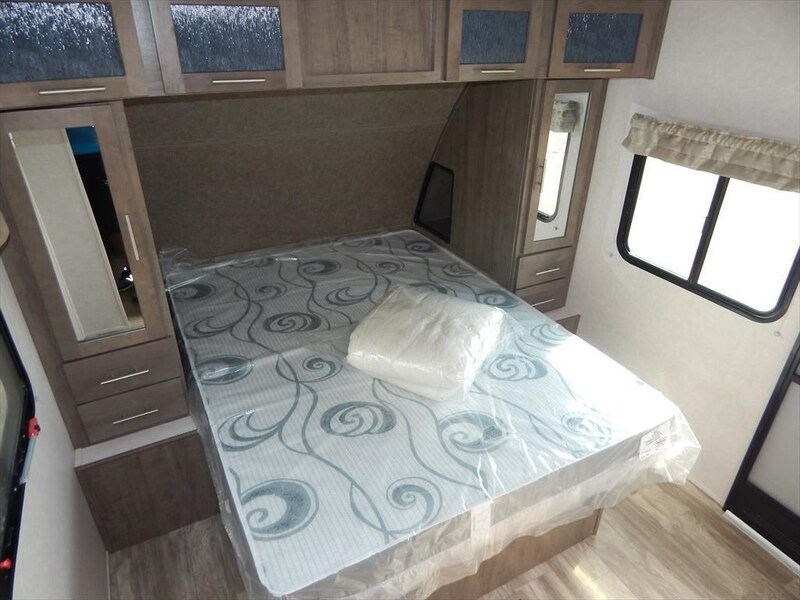 The front bedroom greets you with a queen bed with storage below, and wardrobes on either side of the bed. 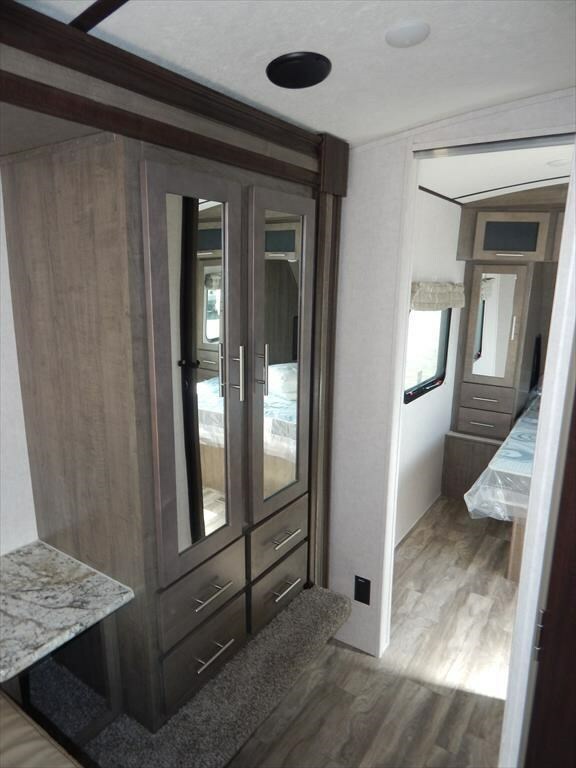 There is also a entrance outside from the bedroom. 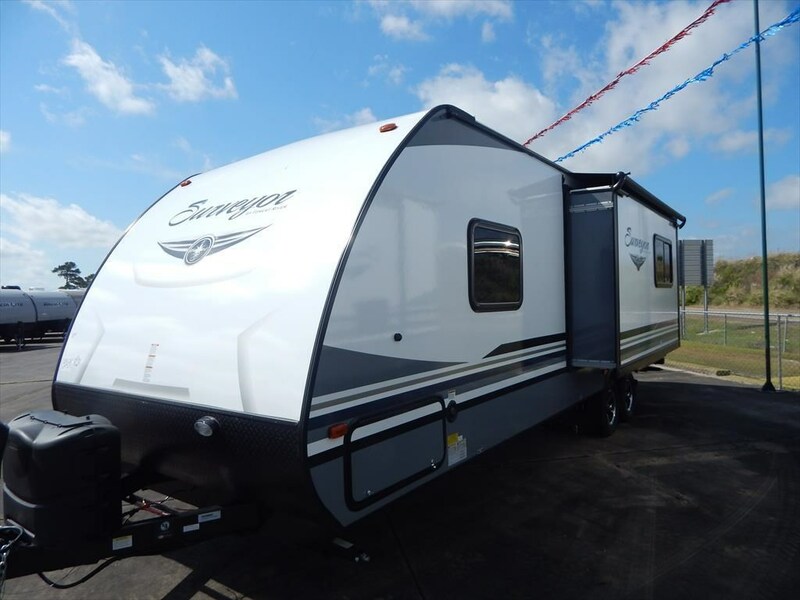 An exterior pass thru storage area is great for storing your exterior camping gear while the interior overhead cabinets help to keep your things neat and tidy inside the trailer, plus more! 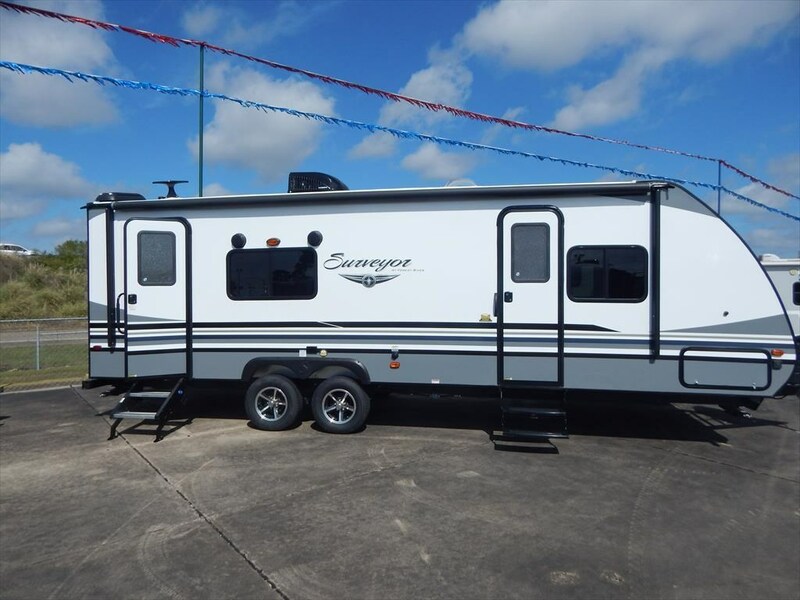 See this Stock # 446 - 2018 Forest River Surveyor 264RKLE on Luke's RV Sales & Service! 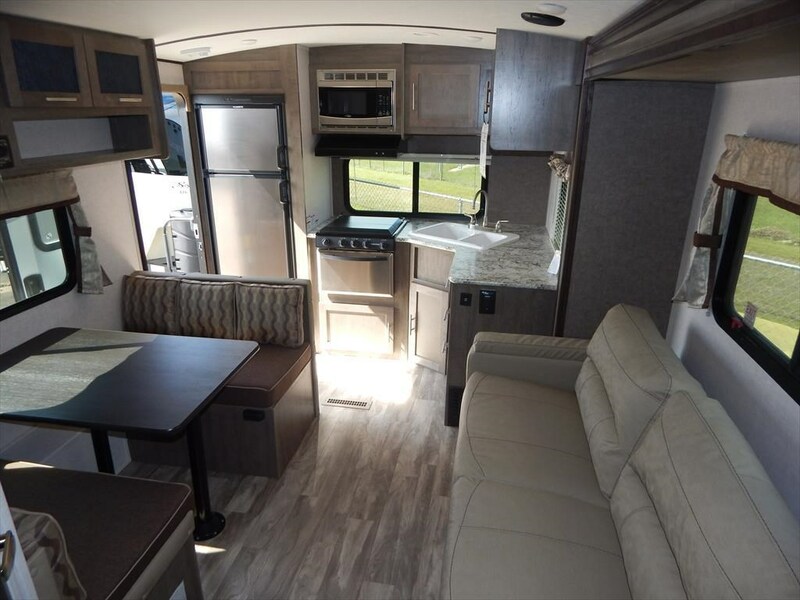 Check out Stock # 446 - 2018 Forest River Surveyor 264RKLE on forestriverrvsource.com!